We just wanted to send you a quick update on Pip’s progress. We have some good, some bad, and some great news to share. As explained in the previous update, we discovered some small defects in the final test batch of Pip shells which we deemed un-acceptable. The good news is that after many long nights, the tool maker has managed to resolve these issues and create a beautiful plastic shell. The bad news, is that these delays resulted in the plastic shells not being delivered to the manufacturer’s assembly line for our allotted assembly time. 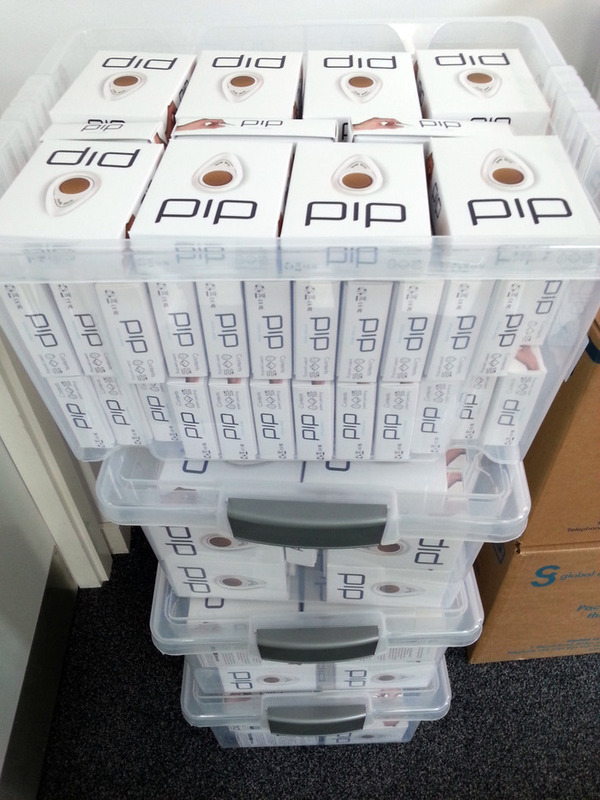 All the Pip parts are now on-site and we are currently working with them to re-schedule an assembly slot. We’re really disappointed to announce that we’ve met another delay in our delivery schedule and we can only thank you for your patience. However we wanted to end this update on a positive note – some great news. 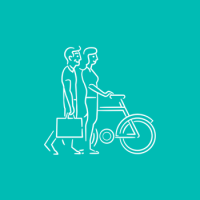 Next week we’ll be unveiling our new Pip logo and website. 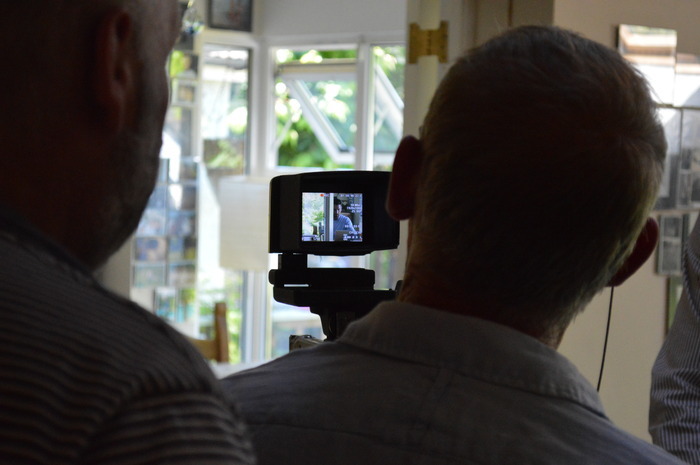 We’re really excited to give you a behind the scenes look at this weeks photoshoot. We will be in contact next week with an update on shipping and website. For the past few months we’ve all been working to deliver your rewards by the end of this week. However we’ve been met with one (hopefully) final hurdle to clear. 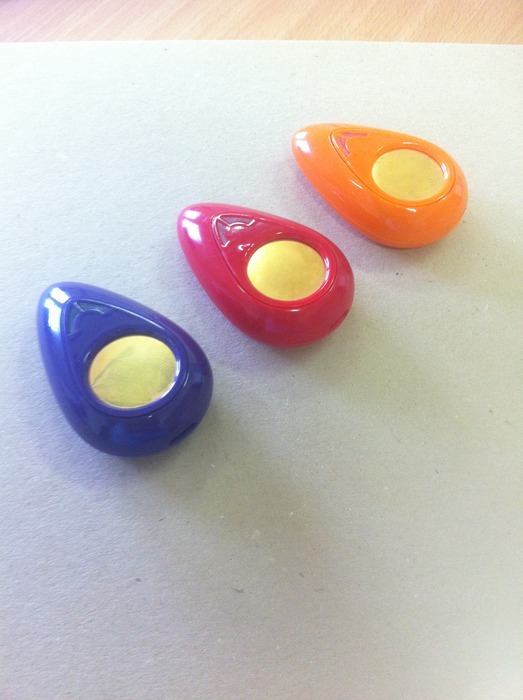 Earlier this week we received, what we hoped were, the final test plastic shells for your Pips. On inspection we discovered tiny scratches and air bubbles in a small number of the shells. We want to deliver to you a product that not only functions perfectly, but is also aesthetically beautiful and decided that this was not acceptable. We’ve spent the past few days working very closely with the tool maker and manufacturer to pinpoint the issue. We have decided to re-mould all the shells to ensure this isn’t an on-going issue as we enter large scale manufacturing. As a result of this issue, we’ve had to delay shipment. We will send you all a final shipping update next week. We are extremely grateful for support the Kickstarter community has shown us and we feel the most fitting way in showing that appreciation is in wanting to give you all a reward worthy of your time, effort and support. In our last update we showed the photos of the prototype packaging we approved for large scale printing. Last week we received batch these boxes. Oddly enough we are delighted to announce that our packaging is already out of date. 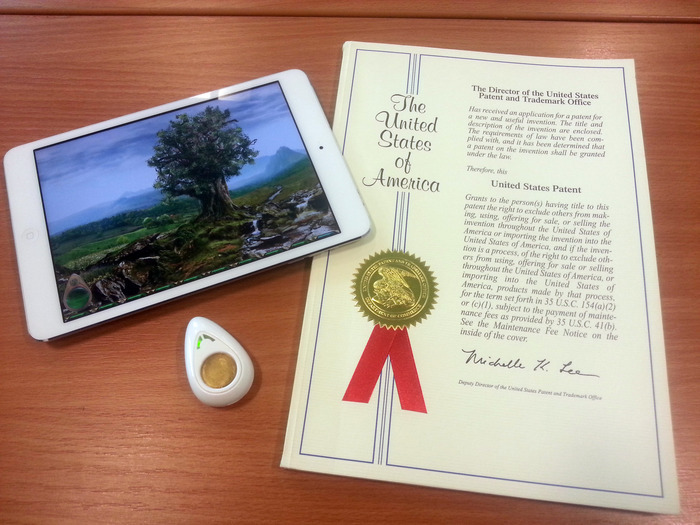 On Monday, Pip received it’s patent from the United States Patent and Trademark Office! Also as of this week we can confirm Pip has received CE certification. CE is the European Electronics standard equivalent of the FCC Declaration of Conformity. Another win from your support! At some point next week we will post a final shipping timeline. We continue to appreciate and value your ongoing support. 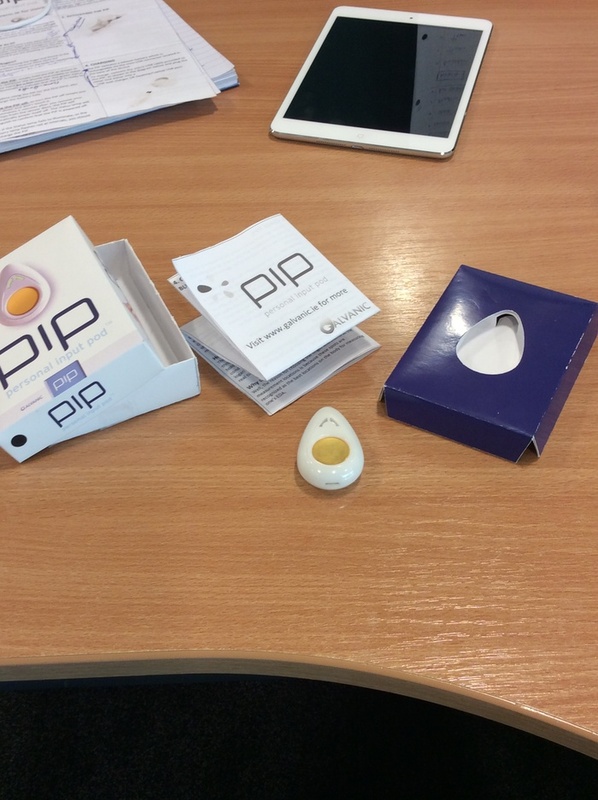 Just a short update on the packaging and our presence at mHealth Summit with more info in the coming weeks! All user guides are now printed and folded awaiting final package assembly. Along with this, we have finally given the green light for the packaging design. There was a minor delay caused by trying to match the measurements of the lid and bottom (can be seen in the photos of our earlier prototypes). This resulted in a redesign of the cutting forme and ultimately the delay for the arrival of the packaging itself. But don’t worry, this has not changed expected delivery times and we expect to receive the full quantity of boxes and inserts folded and assembled by the start of next week! The photos below are the final packaging and user guides fully printed, cut and folded to be delivered to our backers. We’re absolutely delighted with the final result! Calling all backers with incomplete delivery surveys! If you haven’t done so yet, please, please, please fill in the delivery surveys we sent out to you as we can’t deliver rewards to unfilled responses! (If you need to search your email inbox’s, the surveys were sent out on the 28th of August). Thanks for reading and will be in touch with a further update in the coming weeks! Thank you for all of your patience to date. We have made huge strides since our last update, however despite Trojan work, further refinement of our plastics tooling means one final delay before delivery. We would prefer that this was not the case, however we are committed to getting a perfect product into your hands and we share any disappointment you have and will take any criticism on the chin. We promise that the wait will have been worth it. This Update has details about our updated schedule, batteries, boards, application approval and other certifications. The further refinement of our plastics tooling has set us back by 4 weeks from our previously updated schedule. Updated shipping dates is now the 3rd week in May. 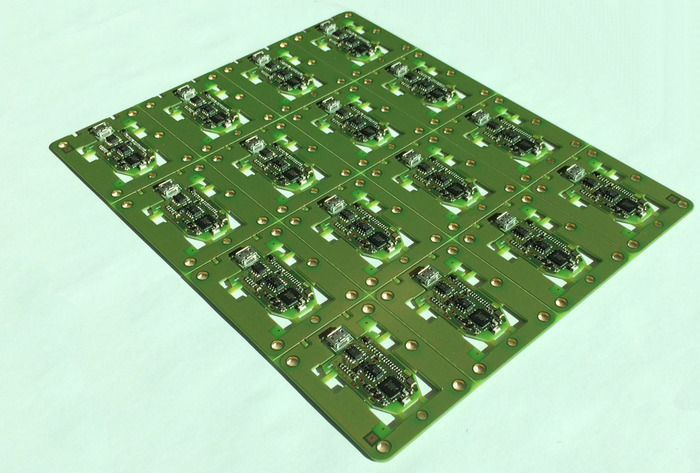 All other parts: Batteries, Boards, Plates listed below have had their designs finalized, have been produced and are awaiting final assembly, testing and shipping. The updated schedule looks like this. 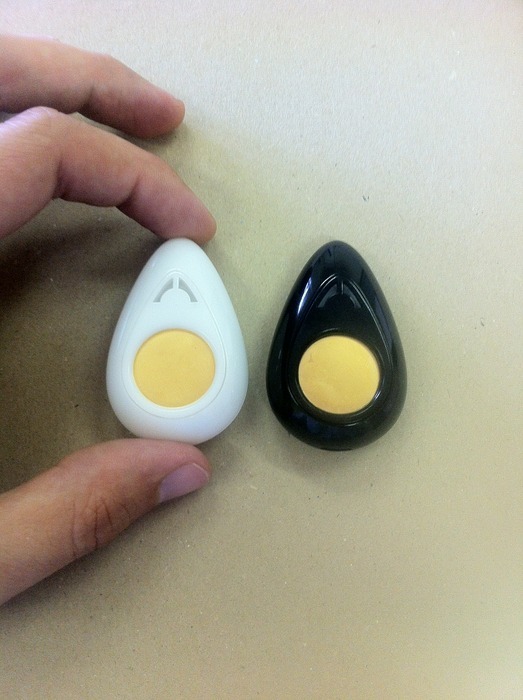 End of April / Beginning of May: Tooling completed and production of plastics for the body of Pip. May – End of Week 1 – Week 3: Final assembly and quality control. May – Week 3: Shipping of rewards. 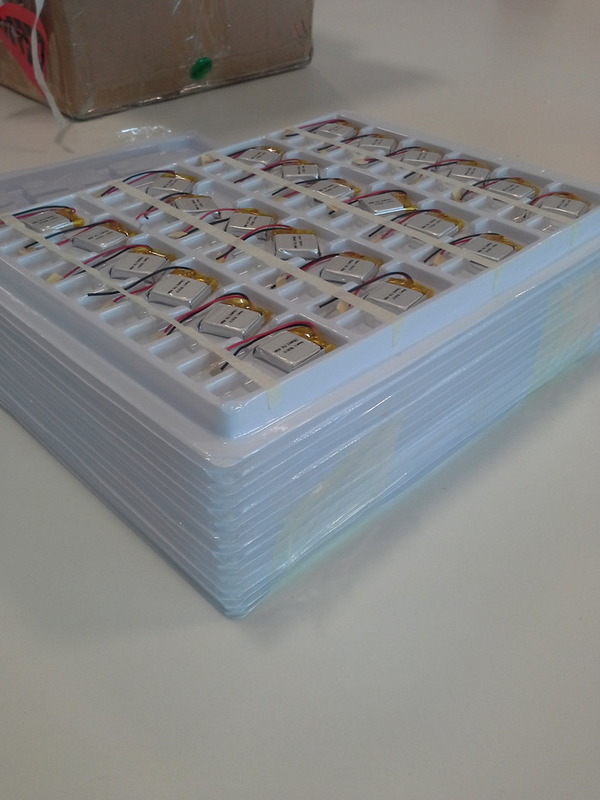 The batteries arrived from the factory at the start of April and were delivered to our final step manufacturer in less than 24 hours and now await assembly. All relevant testing was undertaken by our manufacturer and the final U.S. certification, UL 2054, is well underway. Below are photos of the unpacking of one of the units. 1st production of panels were received from our manufacturer and were tested to verify that everything is perfect. As expected, they have passed inspection and are also awaiting assembly. 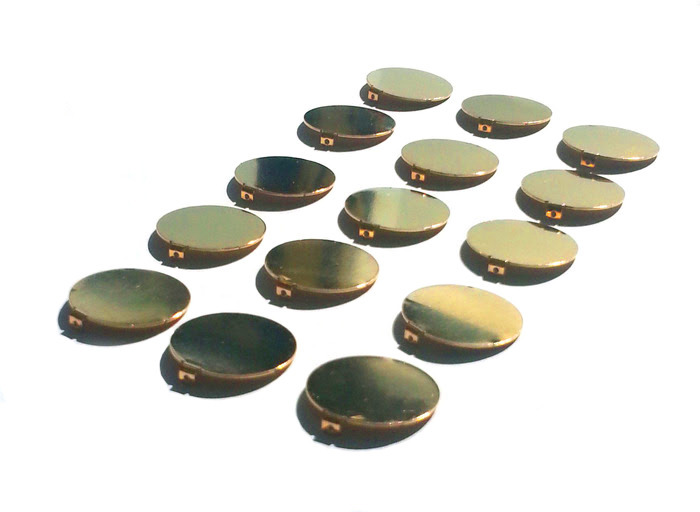 In our last update we had given the green light on the mass production of the sensor discs, this involved a number of complicated steps to forming and plating the sensor discs on a large scale. All our time and effort of fine tuning and refining the production process has finally paid off, with the sensor discs having optimum reading sensitivity. Relax & Race - Currently under review. The Loom - Currently undergoing final tests before submission for review. Lie Detective - Reviewed and approved. The process of uploading the applications to Google Play is much less time consuming and will be submitted shortly. 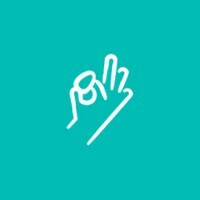 In our last update we talked to you about Pip undergoing testing to pass all relevant regulations. The Pip has been certified by the Bluetooth SIG (Special Interest Group) granted full Bluetooth qualification. 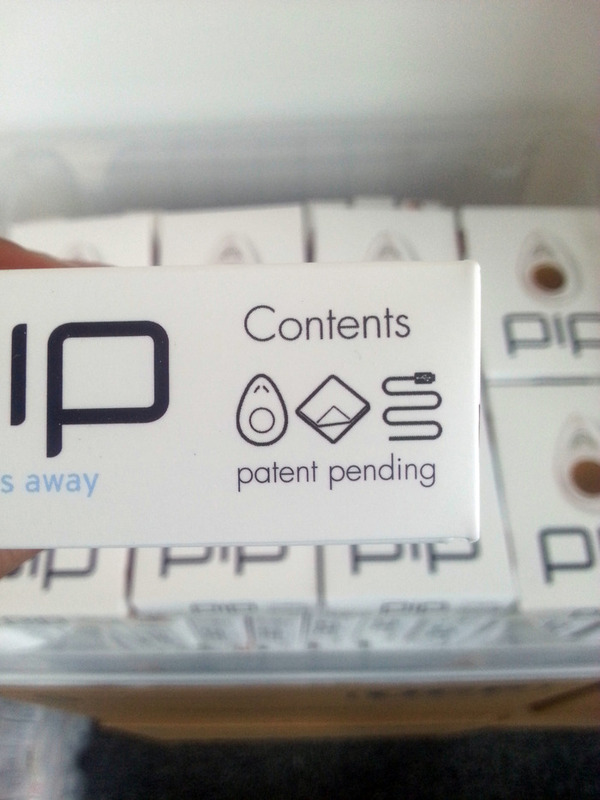 Pip’s applications to the FCC and IC are currently being examined by them and we expect to receive certification of in the next 2 weeks. We have engaged third party experts to help us through all certification processes. We must again express our thanks to all of you for your continued patience and support. 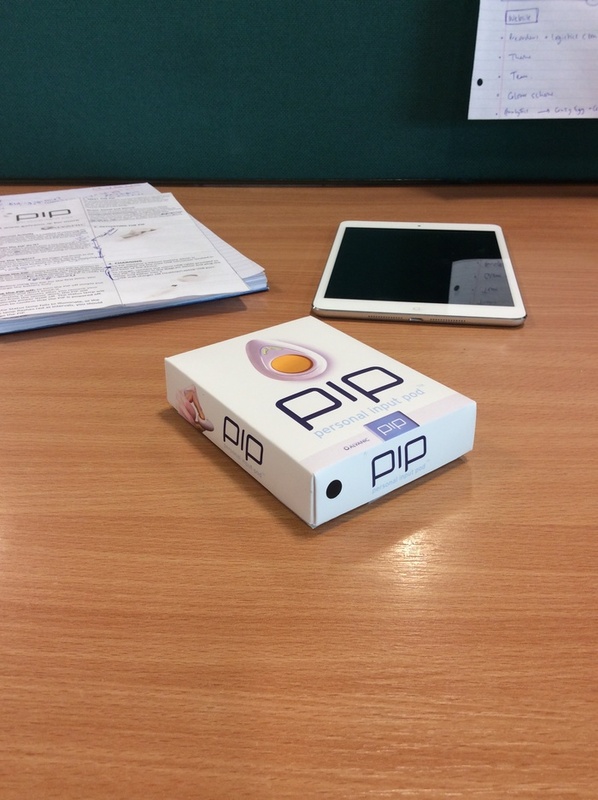 Please be assured that we are working very hard to get the Pip into your hands as soon as possible. As always, please feel free to contact us here on Kickstarter with any questions you may have. For Pip to be able to go to market after the launch, we have to ensure Pip complies with all FCC, CE and IC regulations, as well as meeting Bluetooth SIG’s (Special Interest Group) quality standards. This involves PIP being rigorously examined by approved labs of these agencies. Everything so far is moving smoothly and as planned. Bluetooth tests were finished successfully and are now being examined by a Bluetooth Qualification Expert. 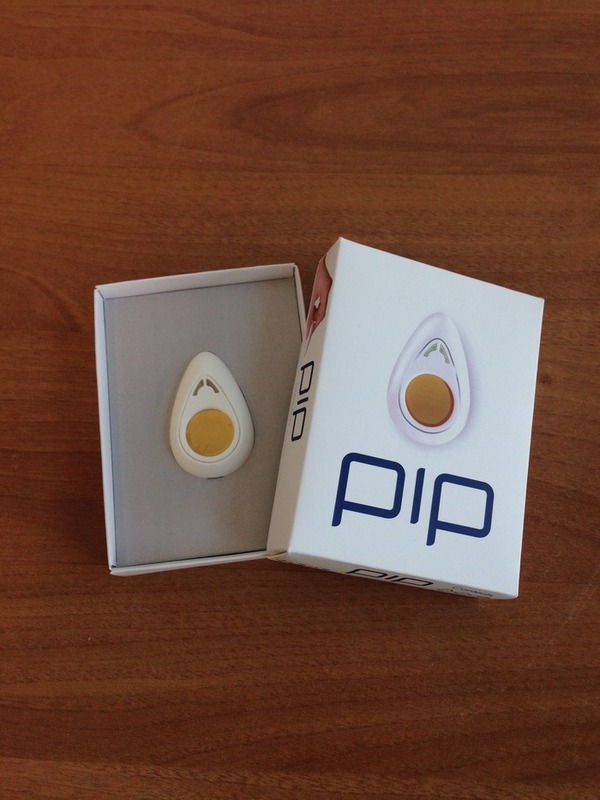 Measurement of skin conductance starts with the contact between your fingers and Pip’s sensor discs. This is a critical area to get right and we have expended a great deal of time and effort refining the sensor construction and production process to extract the last ounce of measurement sensitivity. After extensive trials we have homed in on a set of parameters that produce terrific results and we’re happy to report that we have pressed the go button on production of the sensor discs for your Pips. Looking back over the past 7 months, we are still in awe of the amazing journey we’ve been on and that you’ve all been an integral part of, all 555 of you! We’d just like to take a moment to thank you all again for your ongoing belief and support of what we are trying to achieve with Pip! We know your passion and excitement for Pip’s potential equals ours and you’ve all been a key cog of this team throughout this project. The journey thus far has been exhilarating to say the least, but not without its fair share of obstacles. With the ever-growing workload, our team has grown in size to ensure this dream is realized. As like most things in life, things sometimes don’t pan out as planned, but as a result we’ve learned a bunch of invaluable lessons from working through these issues and challenges that have cropped up over the past months. – Optimizing the performance of the sensor discs for maximum sensitivity and ensuring that they can be manufactured robustly in large volumes. – Working with our global manufacturing partner on tooling, processes and testing to ensure that your Pip is built to the highest standards. – AND we’ve been busy with meeting potential partners from a wide ranging variety of fields, from therapy to sports, discussing the Pip’s potential applications. It really is all going on at the moment! So admittedly, because of the time required for dealing with these challenges, we are behind schedule. But not by much! We hope you are understanding in our delay, and that we want you all to receive a well finished reward, rather than a rushed and half polished one. So, it’s looking like the timeline for delivery of all remaining physical rewards (pledges $79 and up) will be early April 2014, instead of February as estimated. 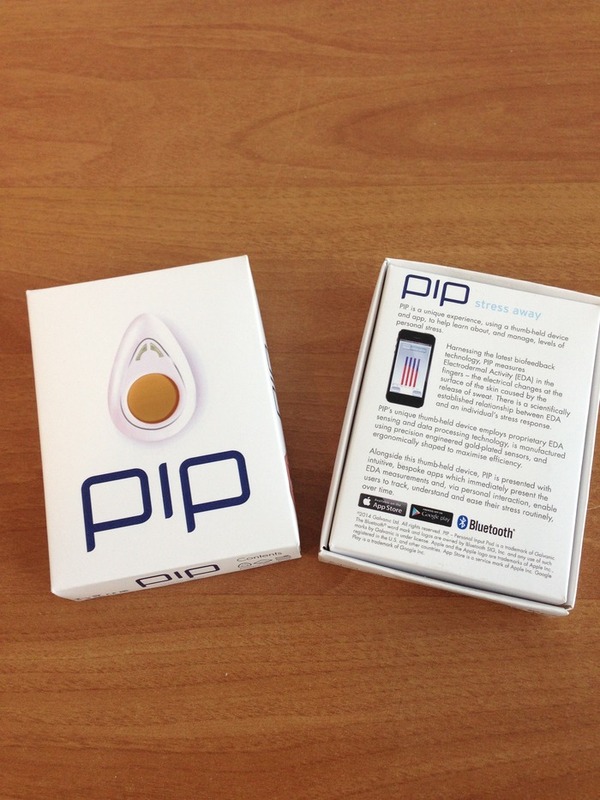 Again we are deeply apologetic of this delay as we know you all want to get your hands on Pip as soon as you can! We hope you can understand. 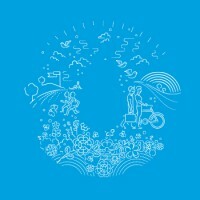 We have signed off on the digital files of the final packaging design to be sent to the printers. The production of the boxes and inserts are expected to be given the green light at some stage this week. You will notice the packaging will remain quite similar to the previous draft mentioned in update #14. Some of the changes will be re-brushing the artwork of the hands and Pip, showing “What’s in the box” icons on the side panels and also new copy and images on the back (we wont share any pictures as we want them to keep some element of surprise until our backers receive them).  Quantified Self (QS) App Development. So, as we promised in one of our previous updates (update #6), over the past few weeks the Quantified Self style app has been under construction and development. 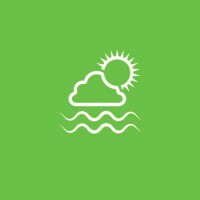 We are currently hashing out aspects of the app, which will provide a real time reading of your stress levels for you to watch. 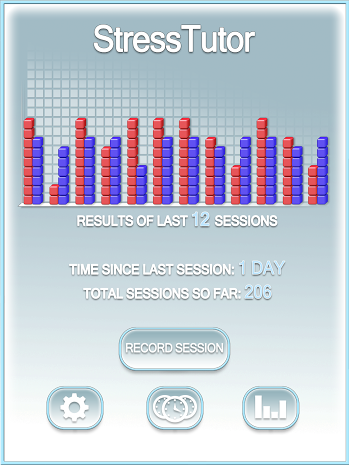 It will allow you to record and review key performance stats and charts. 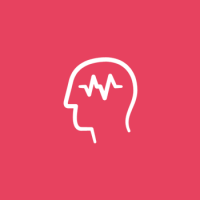 – There will be graphs and charts showing your performance and progress over time, allowing you to gain greater insights into your daily stress activity. The goal behind the app was to provide our backers with a tool that was engaging and rewarding to use. We think the final piece will be just that! 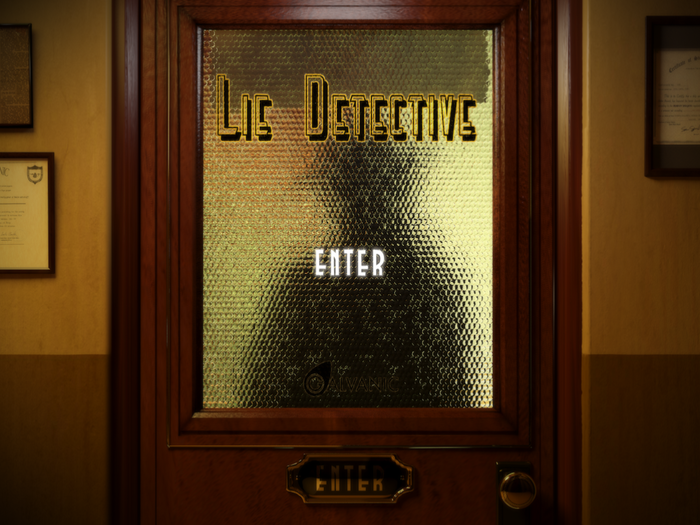 Latest update on Relax & Race and Lie Detective Apps. As you’ll probably agree we think the new look of the apps look very strong and engaging. Also to note, the menu buttons and layouts for all the apps/games have been unified. So they will all look similar for Relax & Race, The Loom and Lie Detective. Currently we are in the process of picking different soundtracks and sound effects to be layered into all the individual apps. Even though listening to hundreds of variations of lapping water and rolling paper can become slightly mind melting after the fifth/sixth successive hour, our ultimate goal here is to use these sounds to embellish the apps and to provide our users with a greater depth of experience. 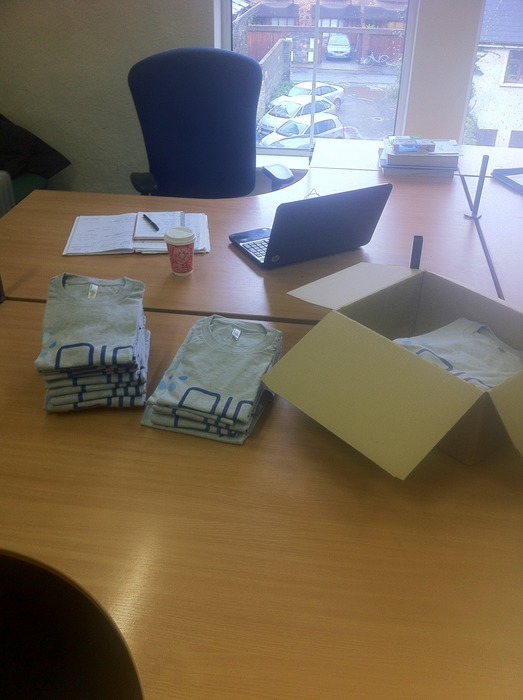 Packaging Prototypes, Manuals, Animations and New Faces! 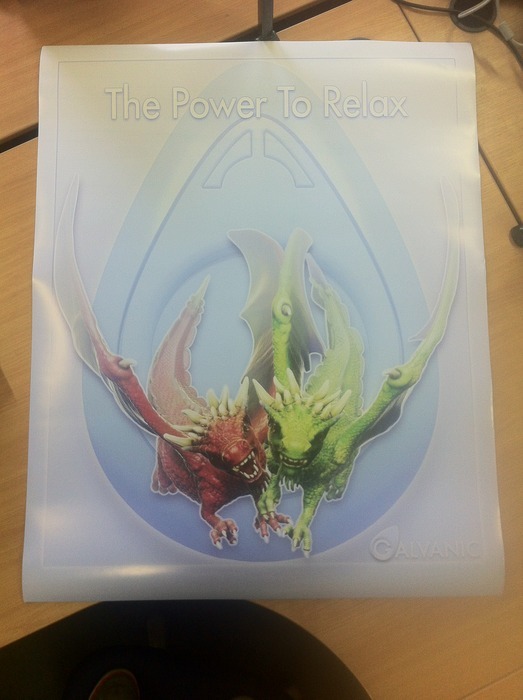 We are currently tackling the packaging designs along with the inset and user manual. Pictured below are some of the prototype packaging designs we are hashing out. We have decided to go with the white packaging shown (still to be tweaked) and the inset shown will most likely be grey for the final draft. 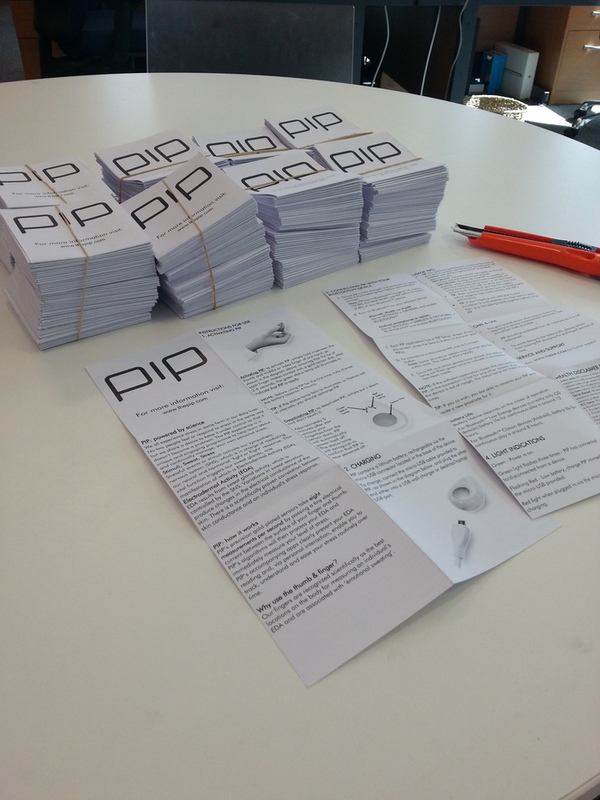 The user manual is near to being finished with some minor redrafting to be done to ensure it reads well and explains exactly what you guys need to know about operating the Pip. Anyway, have a look at the photos and let us know what you guys think! Latest packaging with most recent draft of user manual and coloured insert. + years experience in managing software and hardware development projects and being in a start-up environment. 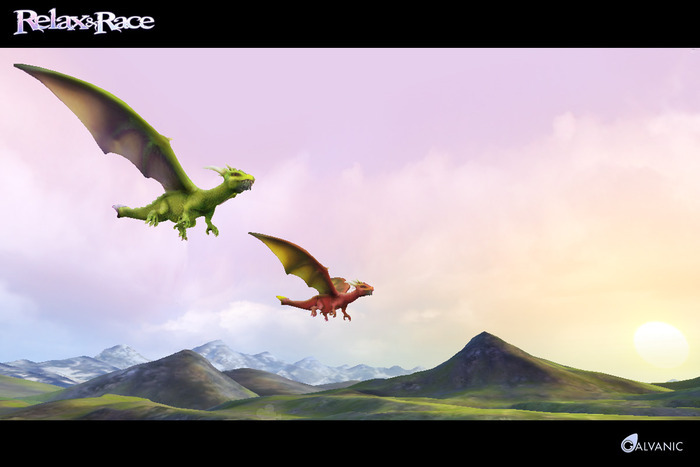 Have a look at the video below, showing an animation of the building blocks and wire framing for the Dragons in Relax & Race. Really cool stuff! A number of our backers have contacted us as there has been some confusion with the surveys being sent out earlier than promised. The reason for sending out the surveys earlier was we needed to get the numbers for colours and choices of applications/platforms to give us an idea for the total pricing and to start planning delivery channels of the apps. We will be in touch early in the New Year regarding delivery times. Hope you enjoyed our update! The season of festivities is around the corner and we are very much looking forward to a well earned break to spend time with family and friends (don’t worry we won’t be relaxing too much!). From all the Galvanic team, we wish all our backers a very Merry Christmas and a Happy New Year!! 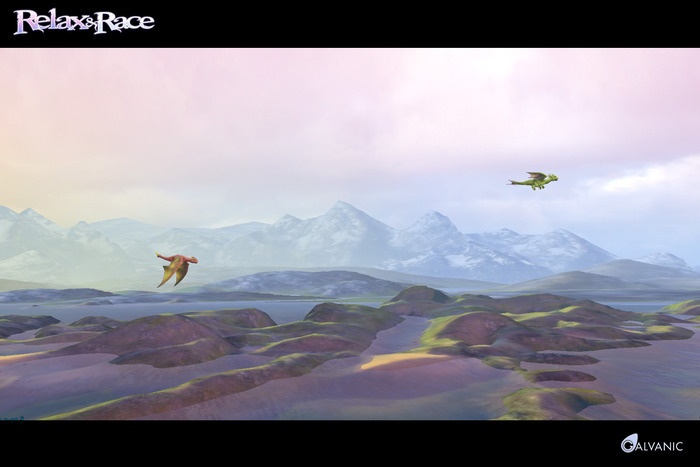 Hey everyone, sorry we’re late in our update but boy have we got some great news to share with our awesome backers! 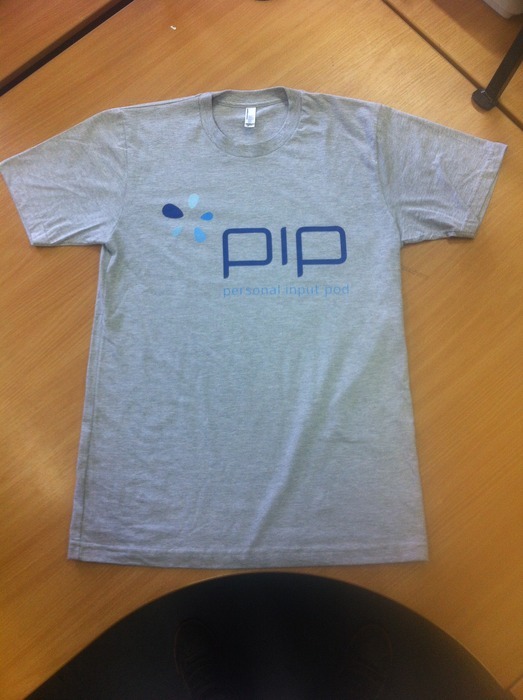 We have just got our t-shirts and posters for our Pip ambassadors, we are delighted with the outcome and hope you guys like them as well. We will be sending out the rewards by the end of this week. 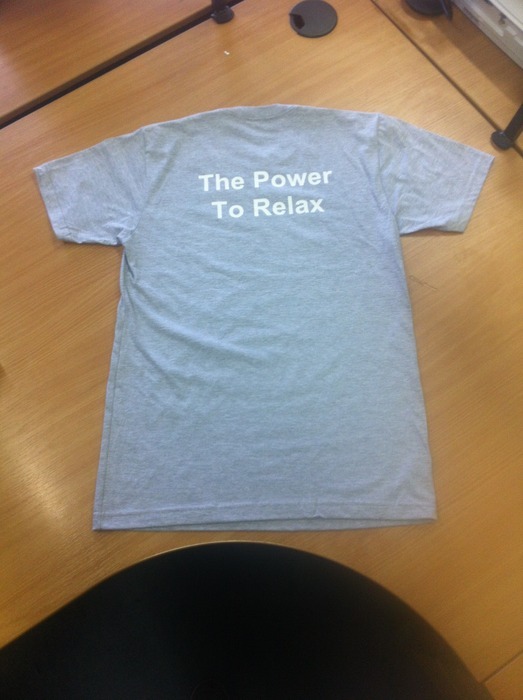 Here are some pictures so let us know what you think! 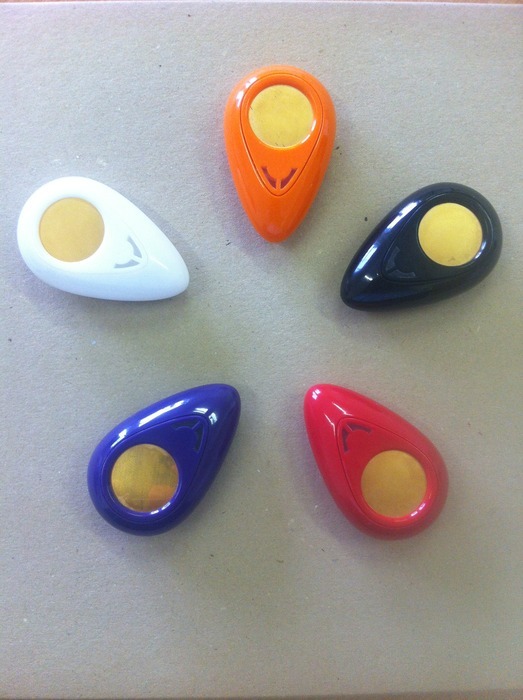 We recently received a test batch of Pip shells in Arctic White, Onyx Black and all three Kickstarter colours – Racing Red, Outrageous Orange and Imperial Purple. You can see in the photos they’ve come out great and we’re delighted with the look, feel and function of them. These shells will be used in making the latest Pips for demos, developing and testing. Stay tuned, We’ll have another update for you soon! So, 2 months on and the dust has settled after the flurry of our Kickstarter. As part of a thank you we wanted to share our lessons from our Kickstarter campaign with you all. Below is a number of do’s and don’ts that we’ve learned from our research, mistakes and learning along the way. Even if you’re not a company there are still some relative pointers that we think will help you. This is far from a comprehensive article on the topic but we think it can serve as a decent starting point. This one sounds obvious, but we ignored it and could have cost us the project if we didn’t catch up on the ground we lost during our launch. Make contact with the relative media before your launch, get your stories agreed and lined up. Most of them will honour embargoes! Have everyone talking about your product when you launch. Creating a rolling snowball is always better than trickle of stories. Mike Del Ponte of Soma writes a brilliant article on this for Tim Ferris’s FourHourBlog (Link below). Fine Tune Your Media Outreach. Fine-tune your selection of relative media, don’t use a scatter gun technique of contacting the media. If you do, it’s likely you’ll just annoy them or they’ll ignore you. If you’re planning to fund a tech project on Kickstarter, chances are Good Housekeeping or the National Geographic aren’t going to want to give the story to their readers. Spend time researching who to contact. Do build and engage your following on whatever social media platform of your choice BEFORE launch. Let people have an idea what you’re hoping to achieve, build their interest and gain their support so they know when and how to help you! See Seth Godin’s article below on the importance of doing this. Set a Realistic yet Attainable Funding Target. 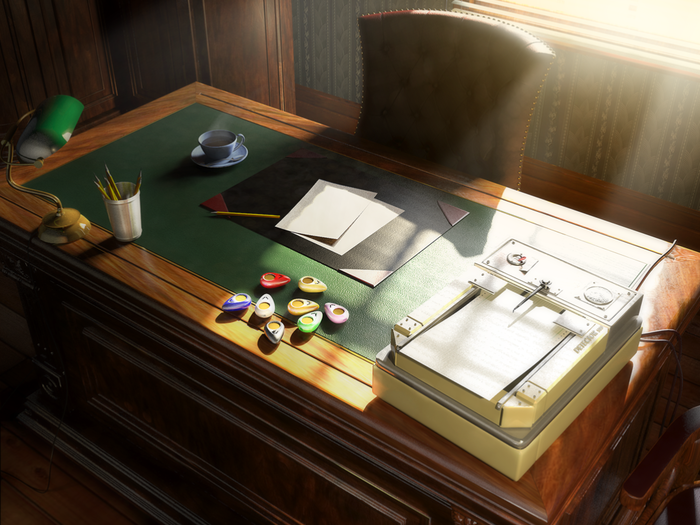 With Kickstarter, the all or nothing factor of the funding can be quite a daunting factor, not only for you, but also for potential backers. Set your funding goal to a relatively easy to reach goal, but not too low that you’re not going to be taken seriously. Spend time mashing out a number that if you reach you can afford to go ahead but low enough to you think you can clear at an early stage to get even greater support. The reasoning for this is, like any adoption curve, there is a portion of late adopters on Kickstarter who want to back projects that either have already succeeded or are likely to succeed. They will resist pledging support to projects that don’t look like they’ll come through. You’ve got to remember, they are parting with their hard earned cash. We even had a woman apologize for withdrawing her pledge as her dog needed veterinary treatment. Therefore you need to make it easy for them to make the leap of faith. Looking back the trend of projects seem to be, if you breach your target early on, you should snowball past it. 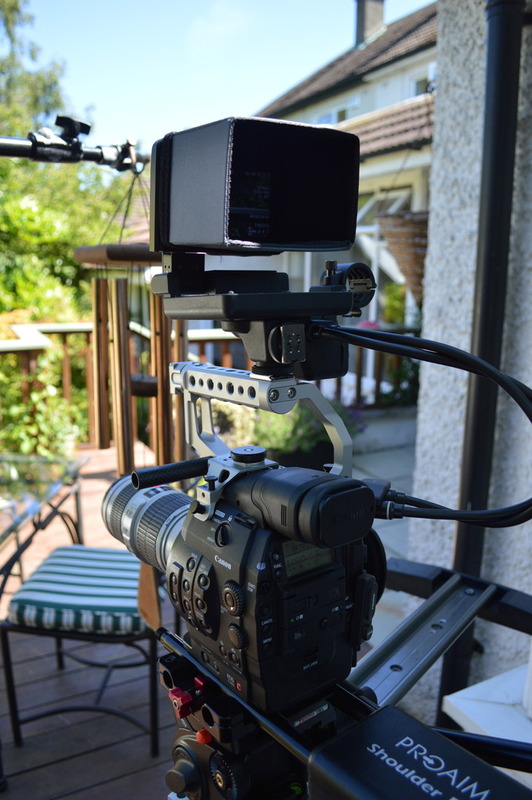 Take time to make a good and engaging video, the statistics prove the dividends. It doesn’t have to be snazzy, fancy and professionally edited, but it does need to be clear and concise, get your point across through your own style/voice. Climb the Ranks with $1 Pledges. The “Recently Launched”, “Hardware” and “Popular Projects” pages can be your good friends. We got most of our pledges from these pages. This is where getting your family, friends and wider networks to make small donations really pays off. It’s not the value of pledges but the number of them that matter. Get lots of small pledges, it gets you climbing up to the top of these pages, which means more eyeballs, which means hopefully more pledges. As Steve Jobs once said “Most people don’t get those experiences because they never ask. I never find anybody that didn’t want to help me if asked them for help”. Here it is really important to keep in mind that your friends and family are being generous, be grateful and pay the favour back. If it means grabbing a pint, making an introduction or a just thank you, do it. For your own research, do look for the commonalities between successful projects (an actually decent idea, the length of the video, project launch times and lengths, compelling copy, attractive and creative pledge rewards etc.) but also look at the failed projects. You can walk through the Kickstarter graveyard at kickbackmachine.com and learn from these mistakes. Ponder over Paid Marketing Decisions. If you have budgeted for paid marketing channels, give a good think about what channels, will provide an adequate return and attract the right people. We aren’t claiming that we did everything right and we won’t try to dissuade any of you, but our return on investment for our marketing spending was less than 5%. Use the right channels and do it right, you may not need to pay for yours. Don’t think it’s going to be easy. The projects that you see getting funded in 24 hours and reaching three, four or five hundred percent are the rock stars of Kickstarter. 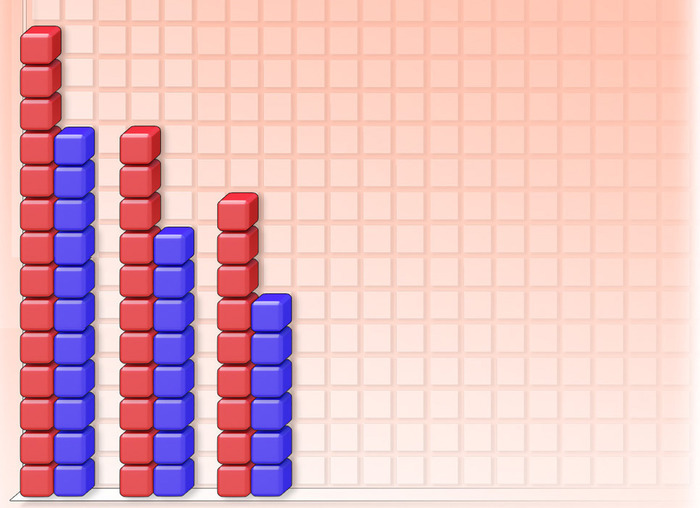 Just like in real life, it’s only a small percentage of the field that make it to those heights. But if you have a good product that grabs people’s attention, spurs emotion and gets them thinking, who’s to say you can’t be the rock stars. There are steps you can take and formulas you can implement that can help push the odds in your favour of getting past the big 100% line. Some of the really valuable ones that we leaned heavily are linked below. This was a lesson we nearly had to learn the hard way. Everyone talks about it and it makes sense – a lot of people are on holidays during these months. Not to mention the weather being good enough to even draw us away from our computers for most hours of the day. Imagine that. It’s blindingly obvious but less people in work or online, means less people visiting the Kickstarter site and less people visiting your project page. Don’t See Launching Your Kickstarter Project as the Finishing Point. It is only the beginning…of a beautiful friendship (just for all the Casa Blanca fans out there). 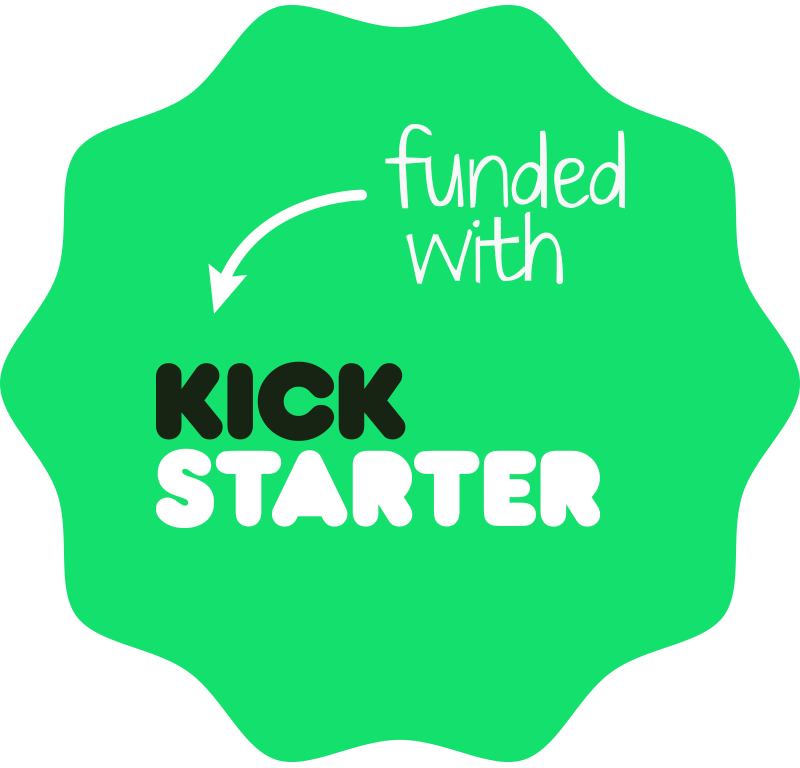 The great community that is Kickstarter are a hugely passionate crowd and if you’ve a good project, they’ll want to support you and will provide you with invaluable insights and ideas to your project going forward. Kickstarter opens a two way conversation, just make sure to listen. One last do for all of you! If you are considering launching your own Kickstarter, please make sure to let us know when you launch, we’ll be more than happy to spread the word and pledge our support! The piece by Mike Del Ponte of Soma on marketing your Kickstarter project on the Four Hour Work Week Blog. An invaluable read for cost effective marketing. Here is their Kickstarter that raised over $140,000 in 38 days. This talk by Michael Paek of Cliffhanger productions, (who raised over $550,000 in less than 25 days) is a great 30 minute video on some do’s and don’ts for companies outside the U.S. setting up Kickstarter for the U.S.
As a non-U.S. Kickstarter project, the article below by GoldHawk Interactive – the minds behind the successful Xenonauts Kickstarter was a solid starting point for us and invaluable in our efforts. If you’re a non-U.S. company definitely give it a read through. It clearly goes through the all steps you’ll face.